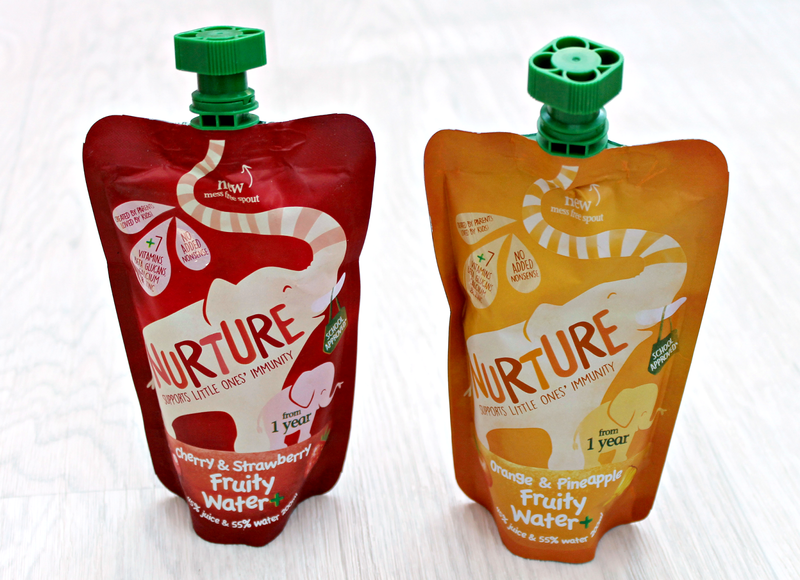 Nurture Fruity Water+ | Building Children's Immunity on the go! Taking care of our child's immune system is so important, more so at this time of year as the weather drops colder and our social activities increase with the festive season. The one thing I hate about being a parent is watching my baby come down with something, the worry that comes with it and the guilt of wondering how you could have prevented it, so anything that could help to give Emme's immune system a boost, I'm willing to try! We were recently sent some Nurture Fruity Water+ pouches* to try and with the promise of immunity support I was excited to see how Emme got on with them! Created with busy families in mind, Nurture is a company that knows all about the importance of strengthening our little Ones immunity against germs. Founded by Lucie and Derek Sanders, keen adventurers that weren't so keen on the germs and infections that their children caught during their travels. 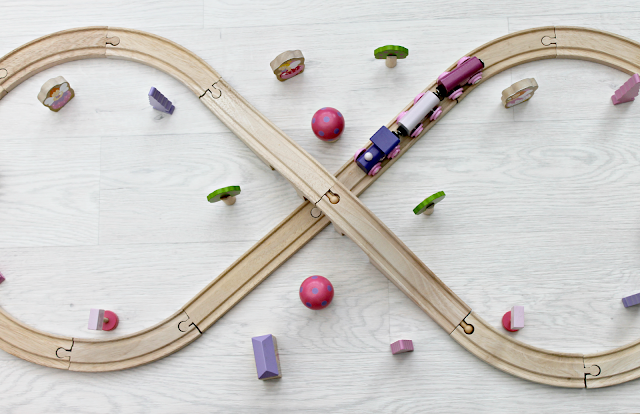 With three children of their own, they know the importance of a strong immune system when little ones like to explore. With this in mind, they set out on their own journey to develop an all-natural drink that strengthens the growth of children's immune systems without compromising on flavour. At Nurture they understand that the more socially active children become, the more germs they come into contact with and the younger they are, the more susceptible to germs they become. Therefore Nurture believe that supporting children's immune systems daily helps their healthy growth and helps to combat germs that cause colds, flus and bugs which is why their recipe includes 45% juice and 55% water aswell as a little added goodness! Nurture Fruity Water+ includes 7 different vitamins to help give your child's immune system that important boost. These include vitamins B6, B9, B12, C, D and zinc which are proven to help your immune system function normally. The vitamin D and calcium included are essential for growth and development of healthy teeth and bones, whilst the Wellmune Beta Glucan included has been clinically proven to strengthen key immune cells that help to keep the body healthy. There are two fruity flavours of Nurture Fruity Water+ to choose from - Orange and Pineapple or Cherry and Strawberry, both are ridiculously good (emme was kind enough to let me try them) but the Cherry and Strawberry is definitely the favourite in our house. I love that these drinks still taste quite sweet but only includes sugars found naturally in fruits and with less than 5g (4.3g to be exact) per 100ml they are tax exempt and school approved! What I love most about these though is the mess-free spout! Emme has become so independent of late and will not accept help of any kind which can become very messy, especially when it comes to fruit and drink pouches so I love the reassurance that I can give these to Emme out in public and with new clothes on and not have to worry about her pouring it all down her! These spouts should be a must for all pouches! Suitable from 1yr+ and perfect for on the go, we love to keep one of these in our bag at all times, handy for soft play and shopping trips for an instant energy and immunity boost! Have your kids tried Nurture Fruity Water+ yet? Having a toddler, kitten and a Fiance whom I nickname 'Grinch' every year, means that my Christmas tree will most likely be going up pretty late this year but I always find that it's putting up the Christmas tree that really makes me feel festive, that and a festive treat or two! 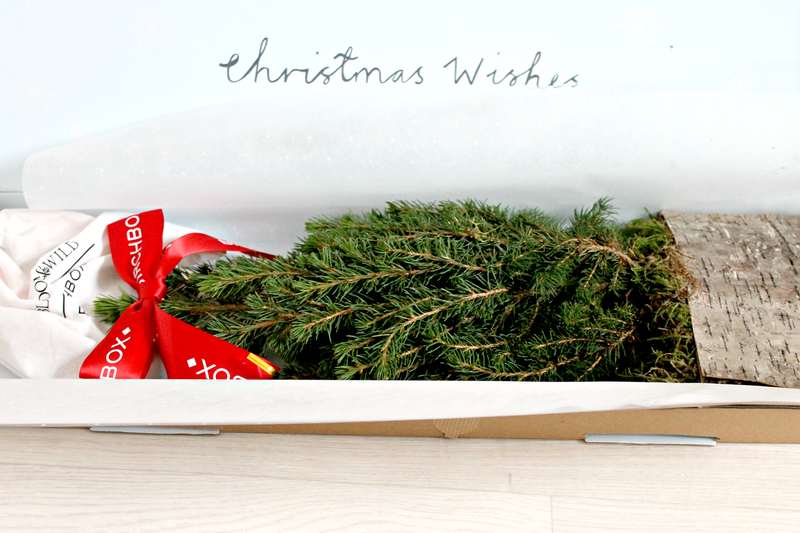 However this week I was lucky enough to receive The Birchtree* from Bloom & Wild the amazing flower delivery company and it has well and truly got me in the festive spirit already! 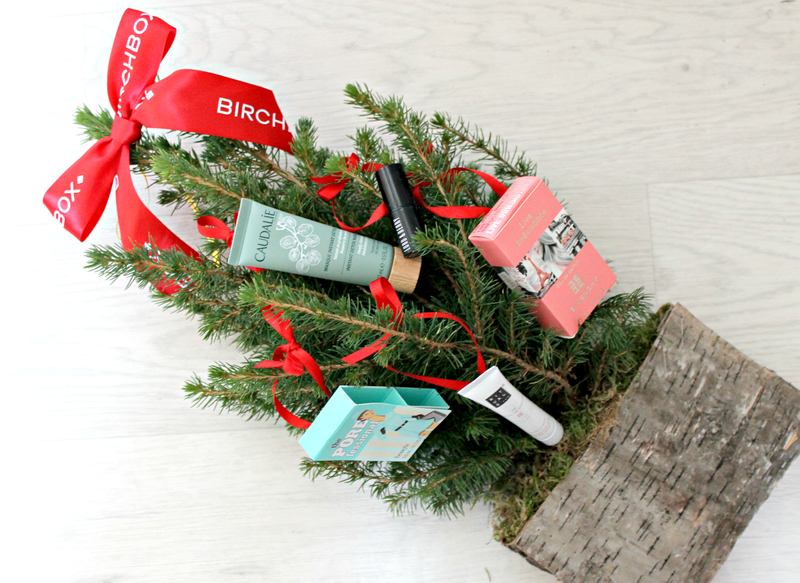 Presented in a cute wooden pot, The Birchtree is Bloom & Wild's latest genius collaboration with Birchbox, the UK's number one beauty box. Complete with 5 luxe beauty miniatures and the perfect size to dress up your desk, table or window, The Birchtree makes the perfect Christmas gift for you or your beauty loving friends and family. 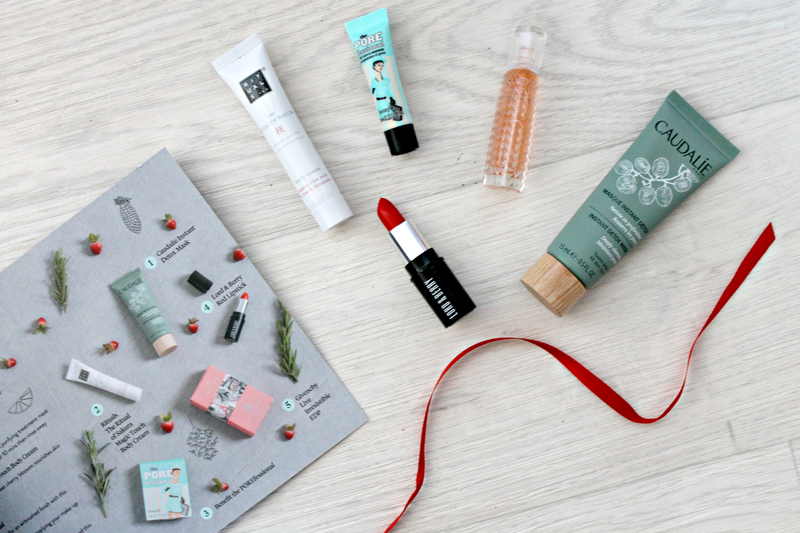 I mean, does is actually get better than Christmas trees AND beauty products?! This is literally my dream tree! Caudalie Instant Detox Mask - This deep cleansing mask is said to remove impurities, minimise pores and leave your skin feeling soft all in just 5 minutes, making it the perfect pre-party prep! Rituals The Ritual of Sakura Magic Touch Body Cream - A rich and velvety body cream that helps to strengthen, nourish and firm the skin is perfect for those party pins! 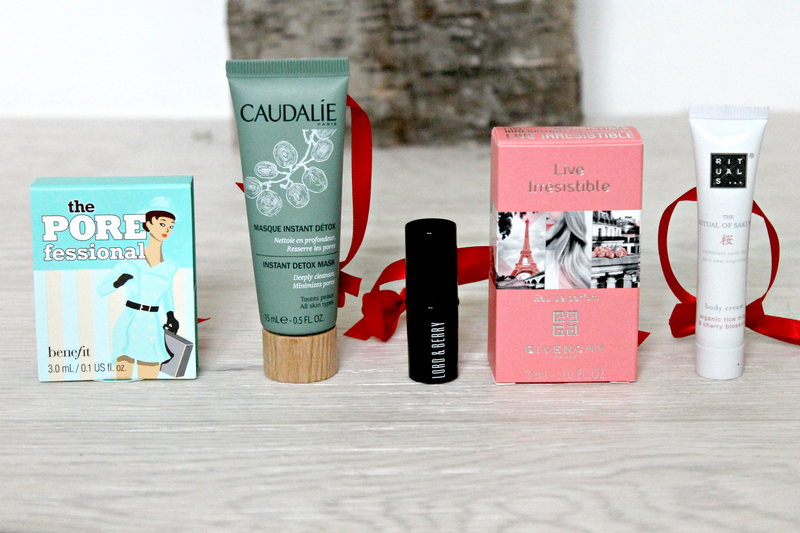 Benefit The POREfessional - This primer helps to minimise pores, blur imperfections and provides a smooth surface to apply your makeup, I'm already a big fan and am so happy to have a miniature size to pop in my bag for touch-ups. 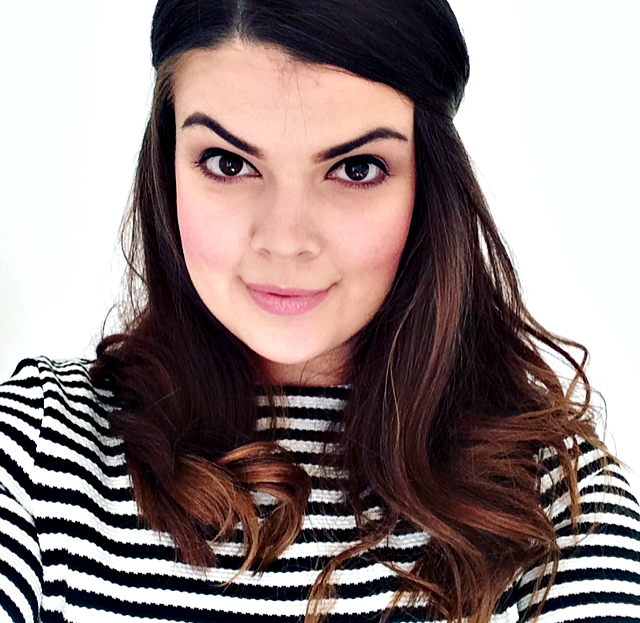 Lord & Berry Red Lipstick - I'm all about red lipsticks come Christmas and this one is the perfect shade for the season! Givenchy Live Irresistible EDP - With hints of pineapple and rose, this sweet smelling perfume is sure to turn heads! I'm saving this one for Christmas Day! Each of the beauty samples has a red ribbon attached that allow you to hang them on your tree like baubles which I think is just the sweetest idea! Though, if like me, you can't resist using your samples before Christmas (oops) you could always replace these with some miniature baubles and some miniature battery powered lights which is exactly what I intend to do. What I love most about this oh so festive miniature evergreen is that although small, it fills the room with that nostalgic scent of a real Christmas tree, a scent that makes me so happy that I have had a ridiculously huge smile on my face since the day the tree arrived! The Birchtree is also really easy to take care of by simply watering once a week and keeping away from direct sunlight, I'm hoping that I manage to keep mine alive for a while (plants are not my forte) as I do not want that Christmas scent to fade any time soon! 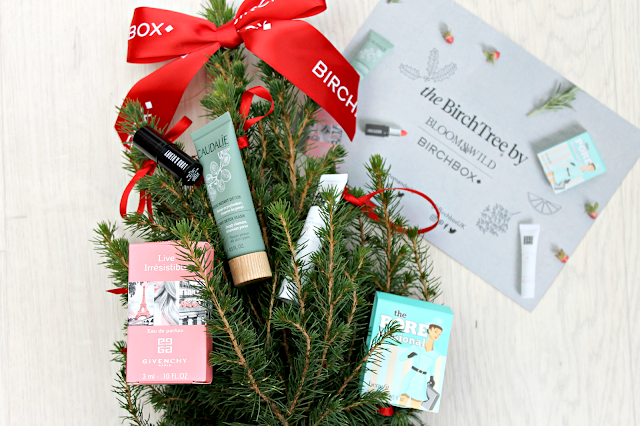 Just like Bloom & Wild's Letterbox flowers, The Birchtree also comes in a box perfectly sized to fit through your letterbox which makes it the perfect gift as you don't need to ensure anyone is waiting in for it and at £30 it makes the perfect 2-in-1 gift for those who already have everything! Make sure your quick though as this one is limited edition and I predict that it will sell out like hot cakes!